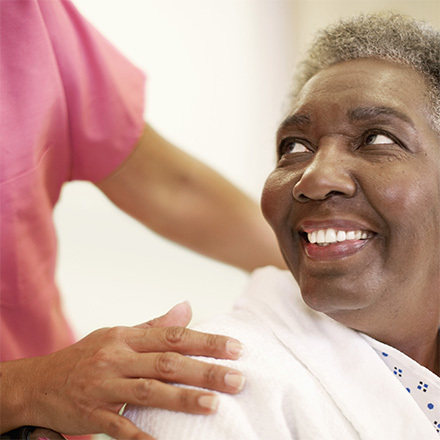 Women with personal risk factors for developing breast cancer may consider supplemental screening procedures, such as 3D mammography, in addition to screening mammography. Early detection is key to preventing breast cancer deaths. What is Low Dose 3D Mammography? 3D mammography (tomosynthesis) is an FDA-approved technology that creates multiple thin 3D image slices that allow each section of the breast tissue to be seen more clearly. Some studies show that 3D mammography improves breast cancer detection rates and reduces the need for additional imaging. What Should I Expect During a Low Dose 3D Mammogram? Who is Low Dose 3D Mammography For? 3D mammography is FDA-approved for all women who are undergoing a standard mammogram and elect to have this additional technology added to their exam. 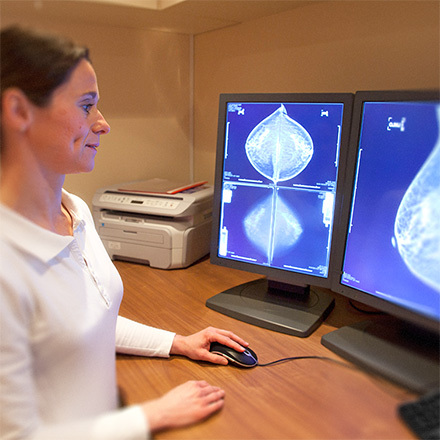 Your doctor may also prescribe 3D technology for diagnostic mammograms. What Makes This a Low Dose 3D Mammogram? Use the form below to request an appointment, add 3D technology to your scheduled mammogram or to get more information. A member of our expert staff will respond quickly. * Compared to 2D mammography alone. Friedewald SM, Rafferty EA, Rose SL, et al. 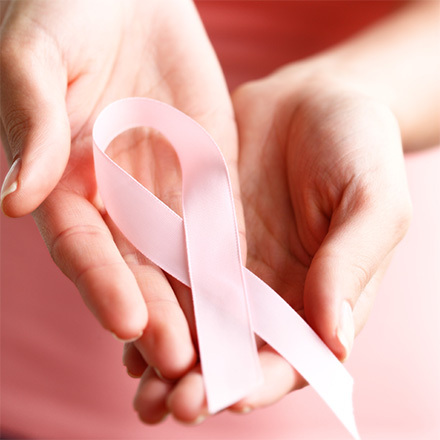 Breast cancer screening using tomosynthesis in combination with digital mammography. JAMA. 2014 Jun 25;311(24):2499-507. Zuckerman SP, Conant EF, Keller BM, et al. Implementation of Synthesized Two-dimensional Mammography in a Population-based Digital Breast Tomosynthesis Screening Program. Radiology. 2016 Dec;281(3):730-736. Skaane P, Bandos A, Eben EB, et al. Two-view digital breast tomosynthesis screening with synthetically reconstructed projection images: comparison with digital breast tomosynthesis with full-field digital mammographic images. Radiology. 2014 Jun;271(3):655-63. Bernardi D, Macaskill P, Pellegrini M, et al. Breast cancer screening with tomosynthesis (3D mammography) with acquired or synthetic 2D mammography compared with 2D mammography alone (STORM-2): a population-based prospective study. Lancet Oncol. 2016 Aug;17(8):1105-13. McDonald ES, Oustimov A, Weinstein SP, et al. Effectiveness of Digital Breast Tomosynthesis Compared With Digital Mammography: Outcomes Analysis From 3 Years of Breast Cancer Screening. JAMA Oncol. 2016 Jun 1;2(6):737-43. Rafferty EA, Durand MA, Conant EF, et al. 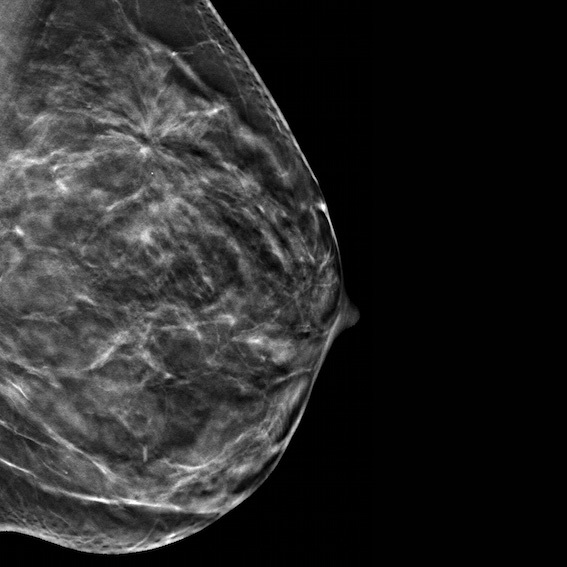 Breast Cancer Screening Using Tomosynthesis and Digital Mammography in Dense and Nondense Breasts. JAMA. 2016 Apr 26;315(16):1784-6. Breastcancer.org. US breast cancer statistics. Breastcancer.org. http://www.breastcancer.org/symptoms/understand_bc/statistics. Accessed on: May 25, 2016. National Breast Cancer Foundation, Inc. Stages 0 & 1: what does is mean to have stage 1 breast cancer? National Breast Cancer Foundation, Inc. http://www.nationalbreastcancer.org/breast-cancer-stage-0- and-1. Accessed on: March 31, 2015. Results from Friedewald, SM, et al. "Breast cancer screening using tomosynthesis in combination with digital mammography." JAMA 311.24 (2014): 2499-2507; a multi-site (13), non-randomized, historical control study of 454,000 screening mammograms investigating the initial impact the introduction of the Hologic Selenia Dimensions on screening outcomes. Individual results may vary. The study found an average 41% increase and that 1.2 (95% CI: 0.8-1.6) additional invasive breast cancers per 1000 screening exams were found in women receiving combined 2D FFDM and 3D(TM) mammograms acquired with the Hologic 3D Mammography(TM) System versus women receiving 2D FFDM mammograms only.